Long Beach’s economic renaissance is showing no signs of slowing down, and it’s safe to say craft beer is at the forefront. The city has been home to multiple breweries over the years, from Beachwood BBQ and Brewing downtown to Ballast Point to the east and every other unique brewery scattered in between. 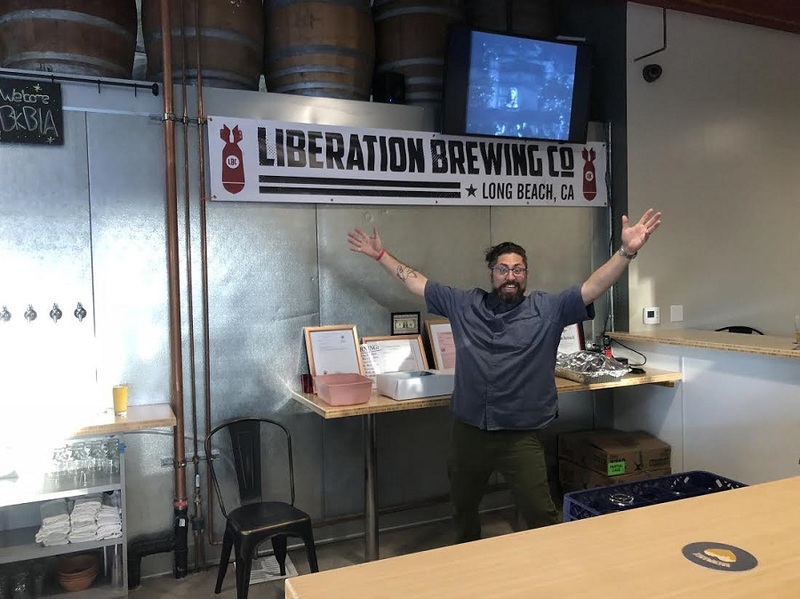 Now, with a grand opening slated for this Thursday, Long Beach local Dan Regan—also known as the trombonist for the OC ska/punk band Reel Big Fish—will be adding Liberation Brewing to that list. The Bixby Knolls business was Regan’s brainchild of before he retired from the band in 2013 to pursue an endeavor he had been talking about for years. 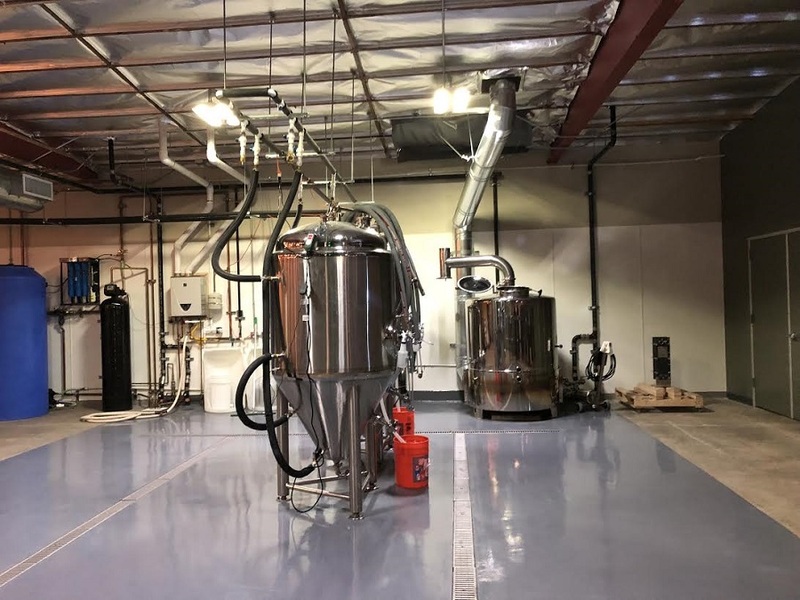 “I would visit breweries every day before soundcheck and interrogate the brewers because I knew that someday I would want to do this,” Regan, who is the CEO of the business, told the Post during one of Liberation’s soft openings last month. After visiting breweries while touring with the band and some failed attempts at brewing his own beer he was able to pursue his dream seriously when he partnered with his brother-in-law’s friend Eric McLaughlin—whose dad and mom were the chef and owner, respectively, of the now-closed At Last Cafe in Alamitos Beach—to head the brewing process and a high school friend, Michael Clements, to handle the accounting. A five-barrel brew system from stout tanks in Oregon produces just under 200 gallons of beer at Liberation Brewing Co. Photos by Stephanie Rivera. 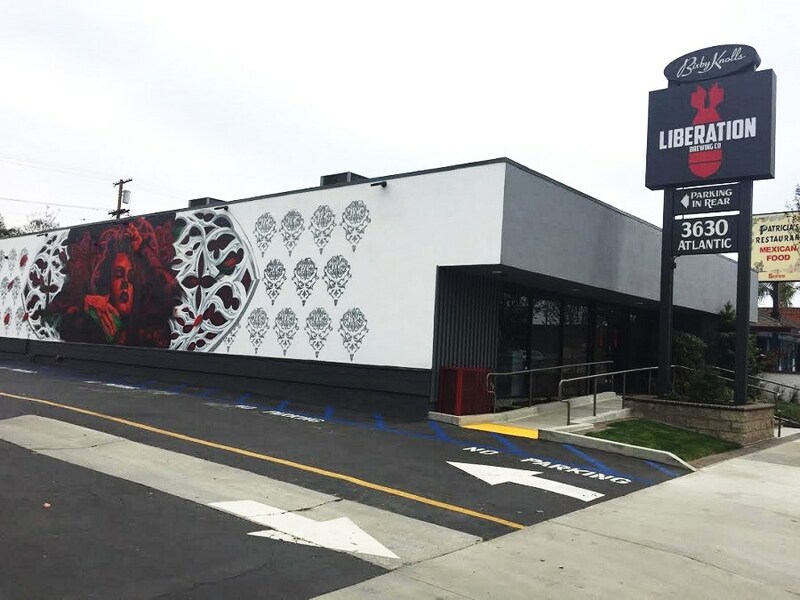 With the neighborhood buzzing with anticipation for Liberation’s official opening and Regan already making room for possible expansion—per the advice of other local brewers—one would think such business savviness runs in the family. But Regan said that’s not the case at all. “No, no, I have teacher parents and socialist grandparents and that entrepreneurial tendency wasn’t really in the blood,” he said. It was actually the success he found through Reel Big Fish that led him to believe he could make it work in the brewing industry; it was a mix of good luck, saying yes to things like quitting college to go on the road and working with others in the field. Some of those collaborations with other local breweries are highlighted in the soon-to-be-released documentary Brewmance. It also helped to have knowledge of and patience with working with local government to get forms processed—both Regan and Clements work for the California State University system, Regan at the Chancellor’s office downtown and Clements and Cal State Long Beach. So what should we expect from this new business? Not food, said Regan. Early on the gang decided they wanted to be a production brewery instead of a pub. However, with Patricia’s Restaurant (and $1.50 tacos) right next door they plan to build a partnership that allows patrons to bring outside food in. They even plan to eventually build out a patio to match the restaurant’s. Do expect a lot of “non-traditional bar type things” according to Regan, like evenings dedicated to Dungeons & Dragons, or lecture nights on a variety of topics from bonafide experts. While the location is not zoned for live music, tunes will always be playing in the background. Eventually, the guys hope to get a special permit to create a summer series during which every two weeks they close off the parking lot and set up a small stage for performances. Liberation Brewing Co. CEO Dan Regan poses for a photo during a soft opening in April. Ultimately, Regan wants Liberation to be a place of discussion and dialogue, with no topic too taboo to talk about. Similar to the notorious Spit ‘n’ Argue Club in the late 1880s once held in the city, co-founder Clements wants to bring back Beer and Politics night. “We’re going to put a soap box on the wall and we’ll ceremoniously bring it up and whatever the topic is for the night, whether its land use or housing or other contentious issues, this is a venue for everyone to have a voice,” Regan said. Liberation Brewing Co. will be open Thursdays from 3:00PM to 9:00PM, Fridays from 3:00PM to 10:00PM, Saturdays from noon to 10:00PM and Sundays from noon to 6:00PM. It is located at 3630 Atlantic Avenue.